A talented young photographer named Carlo Orsi captures Milan. Light and shadow, squalor and splendour, contrasts and contradictions. Fragments of the city juxtaposed with the verbal fragments of Dino Buzzati, words like snapshots. The result is a superb book that is now practically impossible to find. Fifty years later, the great photographer Carlo Orsi captures Milan once again. As before, with the same sensitivity, but informed by a lifetime of experience. New fragments of the city, this time with the verbal snapshots of Aldo Nove. 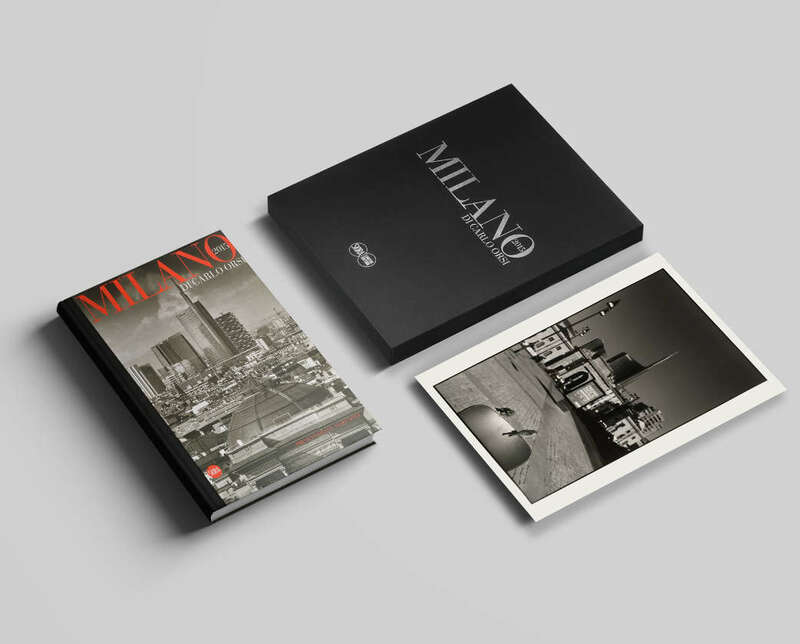 The result is a new book, identical in format to the one of 1965, once again simply entitled Milano. And once again superb, just as before. 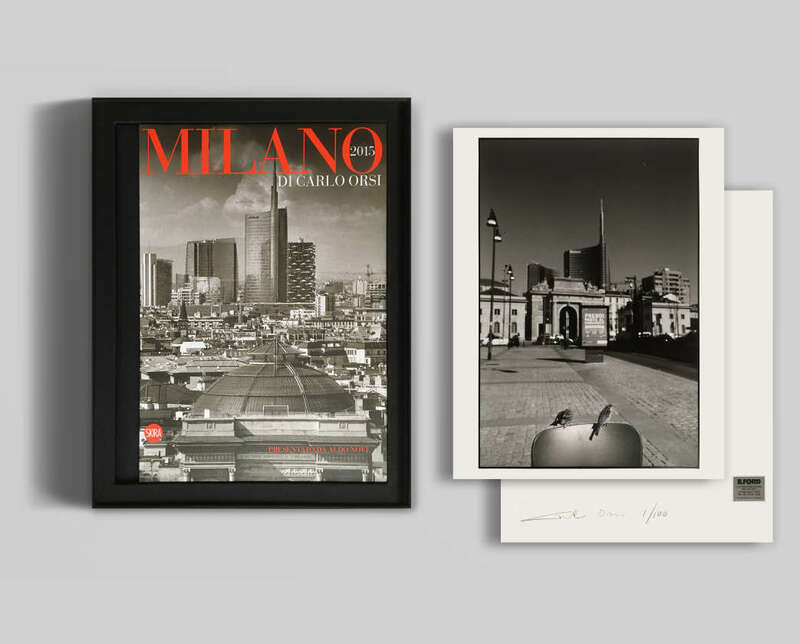 Slip-case containing the book Milano (2015) and an authentic numbered photograph from an edition of 100 signed by the photographer. Carlo Orsi was born in Milan on 8 March 1941 and started out in the world of photography as assistant to Ugo Mulas. In addition to photojournalism for leading publications in Italy and other countries, he has worked over the years for top fashion magazines as well as various brands in the sectors of clothing and furniture. His first solo show, designed by Mario Botta, was held in 1984. Orsi decided to abandon the world of fashion and advertising in the 1990s and return to his true passion, reportage, a great love never completely forsaken.